Shiny Eelektrik in game: 29 Who? Important notice! 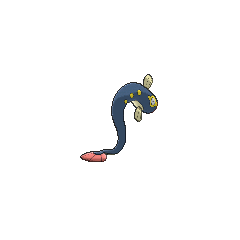 Pokemon Shiny Eelektrik is a fictional character of humans. Eelektrik (Japanese: ???—? 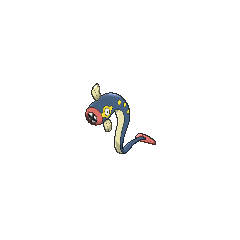 Shibibeel) is an Electric-type Pokémon introduced in Generation V.
Eelektrik is a blue-black, eel-like Pokémon with a beige underbelly. 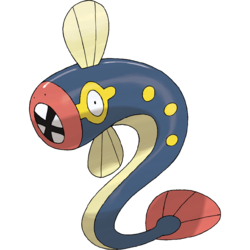 Its round, toothy, leech-like mouth has red lips, and its eyes have small pupils with yellow circle patterning around them, as well as spots. Beige fins extend from above and below its head, and its body is decorated with three yellow spots on the side. 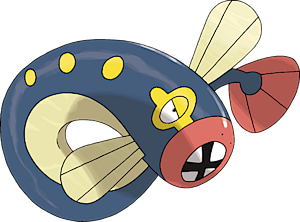 It has a red tail fin that resembles a fan. Several Eelektrik appeared in the "World of Pokémon" introduction to White—Victini and Zekrom and Black—Victini and Reshiram. Eelektrik made its anime debut in Cilan and the Case of the Purrloin Witness! under the ownership of a Trainer participating in the Marine Cup Tournament. 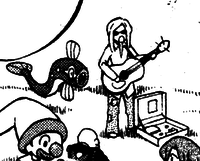 In the Black & White chapter, an Eelektrik was seen next to a Musician at Nimbasa City. Boosts damage done by combos if the foe is paralyzed. Shibibeel may be a combination of ?? shibire (numbness) or ?????? 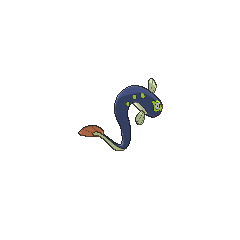 shibireunagi (electric eel), ???? biribiri (onomatopoeia for an electric shock), and eel.